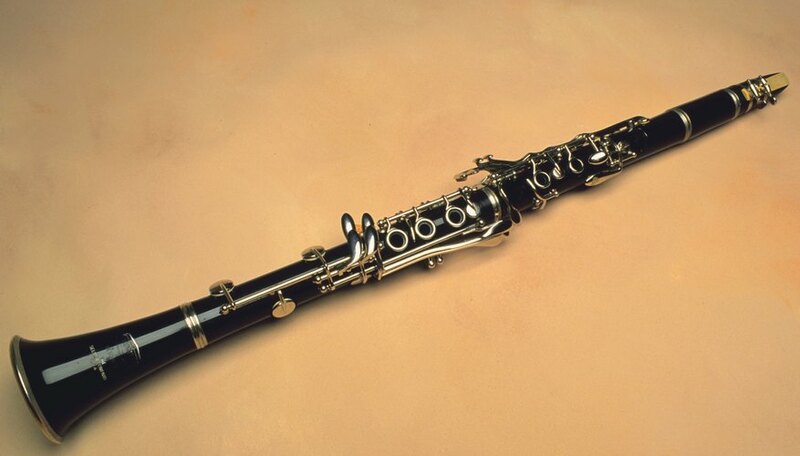 An airy clarinet can be the product of improper playing technique. To remove the airy sound, you must learn to use your embouchure to prevent air from leaking through the sides of the instrument and corners of the mouth. Additionally, you should check to ensure that the reed is in good condition and not worn out. In most cases, proper breath support will improve your pitch and enable you to play effectively and without any air in the instrument's sound. Breathe properly by taking in a full breath into your diaphragm. Diaphragmatic breathing involves taking air into your lungs by expanding the diaphragm muscles to pull air into your lungs. This will provide the proper breath support to play clarinet. When you breathe correctly, you should feel your sides, stomach and even back expand with air. Practice breathing in for four beats and out for six beats to learn to regulate and control your airflow. Form the tongue position for the letter "K." Notice how the tongue curls up in the back of the mouth with the tip resting on the floor. You may also try saying the word "key" if you have trouble forming this position with your tongue. This will help to increase the speed of the airflow by creating a bottleneck at the back of your throat, thereby strengthening your sound. Practice holding this position and playing long tones to increase your air speed. Create a seal around the mouthpiece with your lips. Often, poor embouchure strength is the reason behind an airy sound. If air is leaking through the corners of your mouth, it will reduce the effectiveness of the sound. To form an embouchure, imagine you are sucking through a straw. The muscles that form this act are the muscles of the embouchure. Your teeth should rest lightly on top of the mouthpiece. Only the tip of the mouthpiece, approximately the length of the tip of your thumb, should be inserted into the mouth. Play long tones on major scales to improve the quality of your tone. Each note of the scale should be held out for four beats at a metronome marking of 60 beats per minute. Continue through the entire range of the scale, playing every note while increasing the air speed towards the top of the scale and decreasing towards the bottom of the scale. This will ensure that you develop a strong embouchure, capable of holding a strong and steady tone.